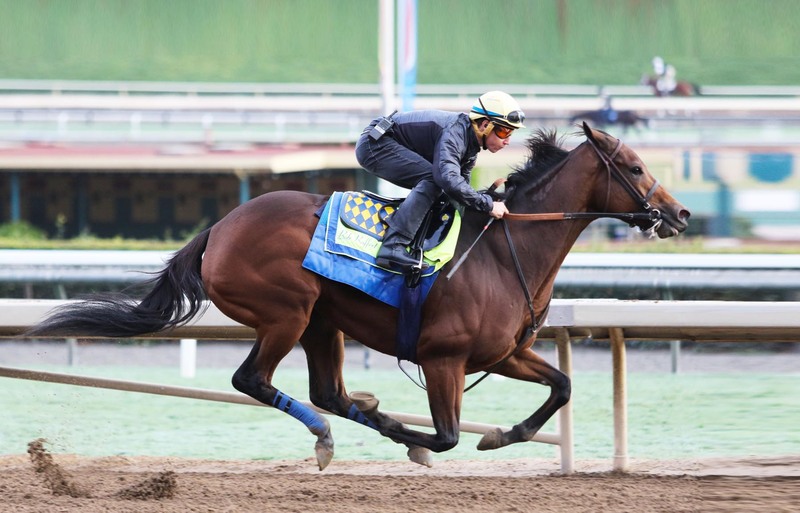 Trainer Bob Baffert has done something in the sport of Thoroughbred racing that has not received anywhere close to the attention it deserves. In fact, it has not received much attention at all. If something similar had happened in the NFL, NBA or MLB, it would be a very big deal. But in horse racing, it’s barely a blip on the radar. Last Thursday at the Eclipse Awards dinner held at Gulfstream Park, Justify was crowned the sport’s 2018 Horse of the Year. It was also announced that the undefeated Triple Crown winner had been voted the champion 3-year-old male of 2018. Justify is Baffert’s ninth 3-year-old male champion. This is truly a monumental achievement when viewed in a historical context. In the Eclipse Awards era that began in 1971, nobody has trained more than three 3-year-old male champions other than Baffert. Since 1971, only four trainers have trained two or more 3-year-old male champions. The four trainers – all Hall of Famers — are Laz Barrera, Woody Stephens, D. Wayne Lukas and Baffert. Barrera’s two 3-year-old male champions were Bold Forbes in 1976 and Affirmed in 1978. Stephens’ two 3-year-old male champions were Conquistador Cielo in 1982 and Swale in 1984. Lukas’ three 3-year-old male champions were Thunder Gulch in 1995, Charismatic in 1999 and Will Take Charge in 2013. Baffert’s nine 3-year-old male champions were Silver Charm in 1977, Real Quiet in 1998, Point Given in 2001, War Emblem in 2002, Lookin At Lucky in 2010, American Pharoah in 2015, Arrogate in 2016, West Coast in 2017 and Justify in 2018. But what about before the Eclipse Awards began? How does Baffert’s total of nine 3-year-old male champions stack up among trainers prior to 1971? Daily Racing Form first conducted voting for champions in 1937. From 1937 through 1970, only two trainers had more than two 3-year-old male champions. The two — both Hall of Famers — were Sunny Jim Fitzsimmons and Elliott Burch. Fitzsimmons’ three 3-year-old male champions were Granville in 1936, Nashua in 1955 and Bold Ruler in 1957. Burch’s three 3-year-old male champions were Sword Dancer in 1959, Arts and Letters in 1969 and Key to the Mint in 1972. Thus, Baffert is far ahead of all trainers since 1937 with his nine 3-year-old male champions. Yet virtually nothing has been written or said about this. Justify became Baffert’s fourth consecutive 3-year-old male champion. Again, when put into a historical context, this is mind-boggling. No other trainer since 1937 other than Baffert has had even two straight 3-year-old male champions. Can Baffert in 2019 extend his streak to five consecutive 3-year-old male champions? It is a distinct possibility. A slew of talented 3-year-old colts currently reside at the powerful Baffert barn, a contingent headed by 2018 Eclipse Award-winning male Game Winner and the “who-knows-how-good-he-might-be” Grade I winner Improbable. Of course, making history is nothing new for Baffert. The white-haired horseman is one of only two trainers to have won the Triple Crown more than once. Baffert has accomplished it twice, first with American Pharoah, then with Justify. Fitzsimmons also did it twice, first with Gallant Fox in 1930 and then with Gallant Fox’s son Omaha in 1935. I sure would not put it past Baffert to someday make it an unprecedented triple of Triple Crown sweeps. There just can be no denying that Baffert ranks right up there with the sport’s all-time great trainers, not just in the U.S., but in the entire world. The top two 3-year-olds on my Kentucky Derby Top 10 list this week are both trained by — you guessed it — Baffert. Game Winner remains at the top, with Improbable right behind. Hidden Scroll, trained by Hall of Famer Bill Mott, debuts this week at No. 5 after his 14-length victory at first asking in a one-mile race on a sloppy track last Saturday at Gulfstream Park. Many showered the Kentucky-bred colt with superlatives following his maiden performance. Mott has not one, but two highly regarded 3-year-olds who look like they could make their presence felt in the Kentucky Derby. He also conditions No. 7 Mucho, who is gearing up at Payson Park in Florida for his first 2019 start. Mucho romped home a 9 3/4-length winner in a six-furlong maiden special weight race at Saratoga last Aug. 4 before finishing second in the Grade I Hopeful Stakes there in what would be his final start at 2. As for Hidden Scroll, Mott unsuccessfully attempted to get four different riders for the colt’s career debut, according to Daily Racing Form’s Jay Privman. All four had a previous commitment. Mott finally was able to get Joel Rosario, who was in town from Southern California to ride Catapult (who finished fourth in the $6.7 million Pegasus World Cup Turf) and Accelerate (who ran third in the $9 million Pegasus World Cup). Rosario certainly was fortunate to be in the right place at the right time to ride such an exciting 3-year-old. Hidden Scroll was assigned a 104 Beyer Speed Figure. It was just about a year ago that Justify burst on the scene at Santa Anita Park as a 3-year-old when he won a seven-furlong maiden special weight race by 9 1/2 lengths and was credited with a 104 Beyer. Justify subsequently won the Grade I Santa Anita Derby, Grade I Kentucky Derby, Grade I Preakness Stakes and Grade I Belmont Stakes. Justify became this country’s 13th Triple Crown winner. Justify also was the first horse to win the Kentucky Derby without racing as a 2-year-old since Apollo in 1882. Just a year after Justify broke the so-called Apollo curse, will Hidden Scroll likewise win the Kentucky Derby without having started at 2? One certainly can’t rule it out in light of Hidden Scroll’s debut performance. While I was watching Hidden Scroll last Saturday, a couple of other smashing Gulfstream debut victories from back in the day came to mind. In February 2007, Curlin registered a 12 3/4-length triumph and recorded a 102 Beyer Speed Figure in a seven-furlong maiden special weight race when unveiled at Gulfstream. Though he did not win the Kentucky Derby, finishing third behind Street Sense and Hard Spun (sire of Hidden Scroll), Curlin did become Horse of the Year in 2007 and again in 2008. He was inducted into the Hall of Fame in 2014. In January 1997, when Pulpit made his initial career start, he recorded an even higher debut Beyer Speed Figure than Hidden Scroll, Justify and Curlin. Pulpit won a seven-furlong maiden race at Gulfstream by 7 1/2 lengths and posted a 107 Beyer. Pulpit would go on to finish fourth behind Silver Charm, Captain Bodgit and Free House in the Kentucky Derby. The day after the Run for the Roses, a radiograph performed by Dr. Forest Northrup revealed a small displaced chip in Pulpit’s left knee. “I feel the chip significantly hampered Pulpit’s performance in the Derby,” Frank Brothers, Pulpit’s trainer, was quoted as saying in the BloodHorse magazine. Pulpit never raced again. He became a prominent sire at the renowned Claiborne Farm in Kentucky. Pulpit is the maternal grandsire of the aforementioned Mott trainee Mucho. Two horses on my current Kentucky Derby Top 10 list are scheduled to be in action this Saturday. No. 4 Maximus Mischief makes his 2019 debut in Gulfstream’s Grade II Holy Bull Stakes at 1 1/16 miles. No. 9 Mucho Gusto begins his 2019 campaign in Santa Anita’s Grade III Robert B. Lewis Stakes at the same distance. Maximus Mischief, trained by Butch Reid, has won all three of his starts by a combined 17 lengths. After a pair of victories at Parx Racing, the Kentucky-bred Into Mischief colt won Aqueduct’s Grade II Remsen Stakes at 1 1/8 miles by 2 1/4 lengths last Dec. 1 in his final start at 2. Mucho Gusto, trained by Baffert, has won two of three career starts. The Kentucky-bred Mucho Macho Man colt won a six-furlong maiden special weight race at Los Alamitos last Sept. 20. Next, Mucho Gusto took Del Mar’s Grade III Bob Hope Stakes at seven furlongs on Nov. 17. He then ran second to Improbable in the Grade I Los Alamitos Futurity at 1 1/16 miles on Dec. 8. The National Thoroughbred Racing Association (NTRA) this week released its first national polls of 2019. The NTRA Top Thoroughbred Poll is conducted weekly through the Monday following the Breeders’ Cup, which this year will be held at Santa Anita. As for the NTRA Top 3-Year-Poll, it is conducted weekly through the Monday following the Belmont Stakes. Members of the media who regularly cover Thoroughbred racing cast votes for their Top 10 horses, with points awarded on a 10-9-8-7-6-5-4-3-2-1 basis. Accelerate topped the final NTRA Top Thoroughbred Poll of 2018. He also received more first-place votes in that poll than Justify. Nevertheless, it was Justify who was voted the Eclipse Award as 2018 Horse of the Year. Also receiving votes: Stormy Liberal (46 points), Gunnevera (45), Mind Your Biscuits (37), Thunder Snow (28), Jaywalk (20), Catholic Boy (16), Diversify (13), Audible (10), Imperial Hint (9), Mendelssohn (5), Bee Jersey (4), Magical (4), Whitmore (4), Midnight Bisou (3), Abel Tasman (2), Promises Fulfilled (2), Wow Cat (2), Catalina Cruiser (1), Expert Eye (1), Marley’s Freedom (1), Unique Bella (1), Vasilika (1). Others receiving votes: Midnight Bisou (30 points), Stormy Liberal (30), World of Trouble (26), Unique Bella (23), Catholic Boy (21), Audible (15), Improbable (13), Jaywalk (13), Magic Wand (13), Enable (10), Gunnevera (9), Imperial Hint (8), West Coast (8), Zulu Alpha (8), Bellafina (7), Diversify (5), Newspaperofrecord (5), Whitmore (5), Aztec Sense (4), Bigger Picture (4), Delta Prince (4), Dream Pauline (4), Vasilika (3), Marley’s Freedom (2), Next Shares (2), Promises Fulfilled (2), Rushing Fall (2), Si Que Es Buena (2), War of Will (2), Abel Tasman (1), Bellavais (1), Caribou Club (1), Leofric (1), Mysistercharlie (1), Shamrock Rose (1). Others receiving votes: Vekoma (35 points), Bellafina (32), Mihos (31), Jaywalk (30), Gray Attempt (20), Win Win Win (19), Mucho (18), Complexity (13), Code of Honor (11), Galilean (11), Mucho Gusto (11), Network Effect (11), Newspaperofrecord (11), Chasing Yesterday (7), Coliseum (6), Country House (5), Federal Case (5), Lucky Lee (5), Wicked Indeed (4), Hog Creek Hustle (3), Long Range Toddy (3), Nolo Contesto (3), Tax (3), Tacitus (3), Flor de La Mar (2), Jersey Agenda (2), Nitrous (2), Owendale (2), Roadster (2), Bulletin (1), Gun It (1). When I made my annual Eclipse Award predictions last week, I said that, for me, the male turf horse category was toughest of all to try and predict the winner. “Even though there are only three finalists to choose from, I feel like it will be a miracle if I get it correct,” I wrote. It turned out that I was right that I probably would be wrong. I predicted Glorious Empire would be voted the 2018 Eclipse Award as champion male turf horse. The award went to Stormy Liberal. It turned out to be my only wrong prediction.